​​Real Madrid played pretty well as they claimed all three points in the Madrid derby against ​Atletico at the Wanda Metropolitano. 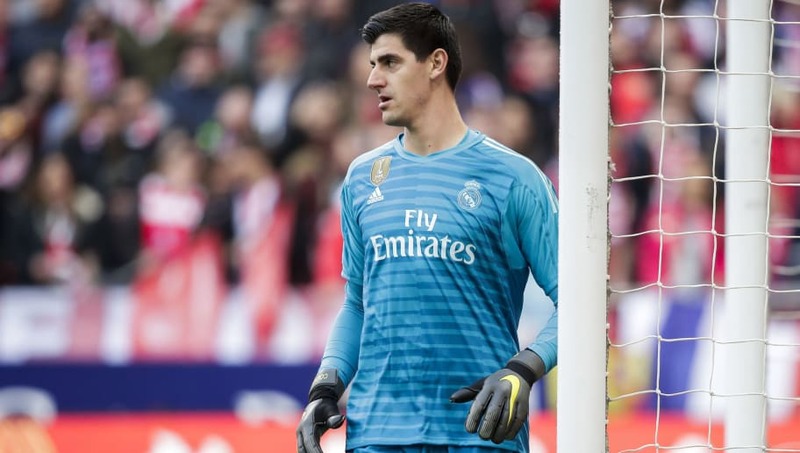 And after the former Rojiblancos goalkeeper Thibaut Courtois was booed throughout the 90 minutes by Atletico fans, he did take his revenge after the final whistle and his team's win. As he left the pitch, where he had been pelted with toy rats, the goalkeeper made a three-fingered gesture to the home fans, to signal Real Madrid's 1-3 victory. Earlier, just hours before the Real Madrid team bus arrived at the Metropolitano, Atlético fans had vented their feelings about the keeper joining the eternal rival by leaving a pile ​o​f toy rats on the player's commemorative plaque on the club's legends walkway of fame. ​AS report that Rojiblancos' fans also chanted an ammended rendition of his song: 'Salta, salta pequeño canguro' ('Jump, jump little kangeroo') - changing the lyrics to a stream of insults. During the game, Courtois celebrated each of Real Madrid's goals in his usual, enthusiatic way. On leaving the pitch, Courtois had one last gesture for the home fans - a three-fingered salute as below.